Home » Connectivity » Desperate for good news, NetOne fantasizes about 5G? Don’t believe everything you read in the media. It’s funny that we’d say that, but sometimes you come across certain headlines that sell the wrong idea. To be fair though, sometimes it’s not even the media’s fault. Take for example an article in the Herald that has quoted Reward Kangai, the CEO of local mobile operator NetOne, talking about the network’s launch of a 5G network. This is supposed to happen after NetOne’s technology partner, Huawei, is done with research in that area. At face value, this sounds like the sort of statement that every other optimistic telecoms executive would say about a network’s future plans, which makes it seem accurate and probably the best thing to say to the media. The only problem is how this dream is too big to sell right now. Without diving into a detailed and boring look at 5G (5th Generation mobile networks), the simplest definition would be how it is the next stage in telecommunications standards that will outpace the current 4G/LTE leading standard. It will provide a faster and stronger internet service than what 4G is offering and will allow simultaneous connections with better coverage and signal strength. One important thing to note though is that 5G isn’t yet a reality. The earliest, that parts of the world on 4G can expect, is in the year 2020. So far, the biggest talk and progress on 5G development was witnessed at the Mobile World Congress 2015 held in Spain earlier this year. As part of the global discussion, the Next Generation Mobile Networks (NGMN) carriers’ club, a consortium of dominant players in global telecoms, came up with a plan for 5G introduction. This blueprint had a breakdown of requirements and potential of the new network standard. That’s it. It’s just a plan. What does this mean for Zimbabwe? Zimbabwe is nowhere near 5G. Sure, NetOne has outsourced all network improvements to Huawei, a telecoms giant that works on network upgrades for most of Africa, but its hard to assume that even when Huawei has 5G tech, NetOne would be first in line to buy it. The entire country’s network infrastructure hasn’t even migrated to 3G, let alone 4G. According to POTRAZ, the industry regulator, for all 3 networks, the majority of our connections are still on 2G. In the latest POTRAZ report, NetOne had the smallest investment in both 2G and 3G infrastructure with respective totals of 619 and 268 base stations. We have very limited 4G coverage that’s been delivered largely by Econet Wireless (As at December 2014 Econet had 20 LTE base stations, NetOne and Telecel hadn’t declared any). NetOne is still testing its own 4G network in the city of Bulawayo. The reason why the landscape is shaped like this is because network upgrades from 3G to 4G are expensive. It’s fair to assume that 5G will just be as taxing. I get why NetOne is hot for anything to do with 4G and 5G. As a tech company, reaching for the next thing always sounds like the best thing to do. But we shouldn’t kid ourselves here. We aren’t there yet with a lot of things in telecoms and 5G is just too ambitious even though we want to imagine this super fast internet service. Though most of us don’t have it yet, 4G internet is 5 times faster than 3G, and the 5G connections will be significantly faster than 4G. 3G, which most of us consider as fast mobile internet will be significantly outpaced by this. 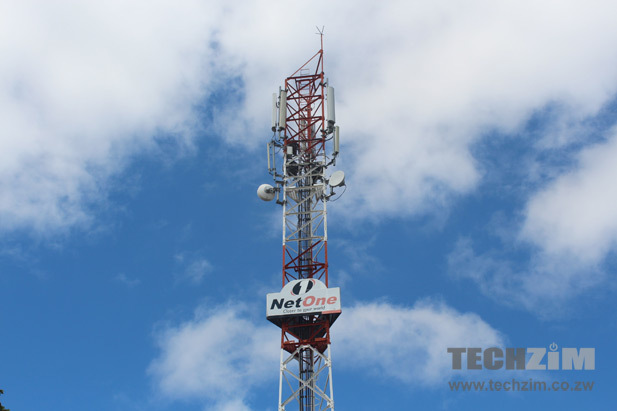 Sure 4G is already here in Zimbabwe, but it’s in limited doses and for NetOne it’s still a project that the network is working on, and 5G isn’t even a thing yet. There are other awesome products and services on NetOne’s horizon that Eng. Kangai should be selling to the public right now. From its imminent plunge into broadcasting and digital content distribution (they could just copy Safaricom) to the disruption of OTT services that it can pull off by snapping up disgruntled Econet broadband subscribers, there’s a lot more that can and should be NetOne’s focus right now.